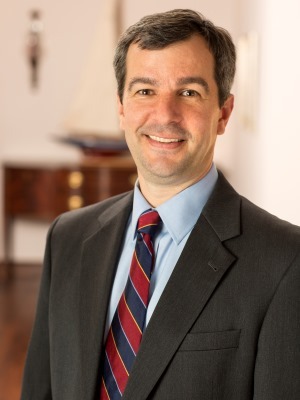 Attorney Kirk Sanders is a lifelong citizen of Winston-Salem, North Carolina. He graduated from North Carolina State University (B.A., 1992) and Wake Forest University School of Law (J.D. 1995). He is licensed to practice law in North Carolina as well as the Middle District Federal Court & Middle District Bankruptcy Court. and Power of Attorney Abuse Cases, including one lawsuit for over $1,500,000. Commercial: Since 1995 he’s represented clients in commercial litigation cases, arbitration hearings, construction litigation, and collection cases. Kirk Sanders, lawyer, represents businesses with their corporation & LLC formations, contracts, collection, advice, and litigation needs. He also serves clients with commercial real estate closings. Kirk Sanders also represents personal injury clients, including wrongful death cases, bicycle wrecks and motor vehicle accidents. He has tried a number of personal injury cases and litigated medical malpractice cases. New Winston Museum, Past Chairman, where he presided over the opening of the new museum, the museum’s first couple of exhibits, and the hiring of its first director. North Carolina Bar Association in the roles of 1) Past President of the General Practice, Small Firm & Solo, 2) Chair of the Hall of Fame Committee, and 3) Coordinator of three Continuing Legal Education seminars. He’s a member of the Home Moravian Church and Salem Congregation Easter Band. He gardens. He enjoys classic cars (presently a 1967 Austin-Healey 3000), writes screenplays and wrote one novel. Call Kirk Sanders at 336-723-7200 to discuss your legal matter.